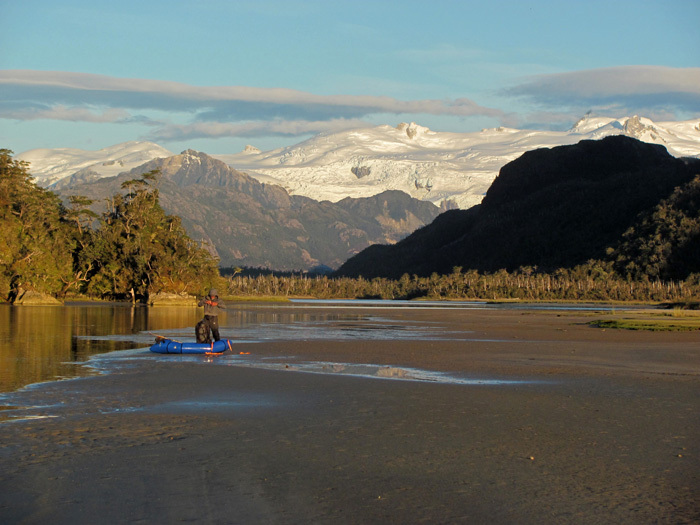 For January-February 2015 Antofaya is preparing an expedition which will find us among the astonishing beauties of southern Chile's wild lands in the region of the Northern Patagonian Ice Field. 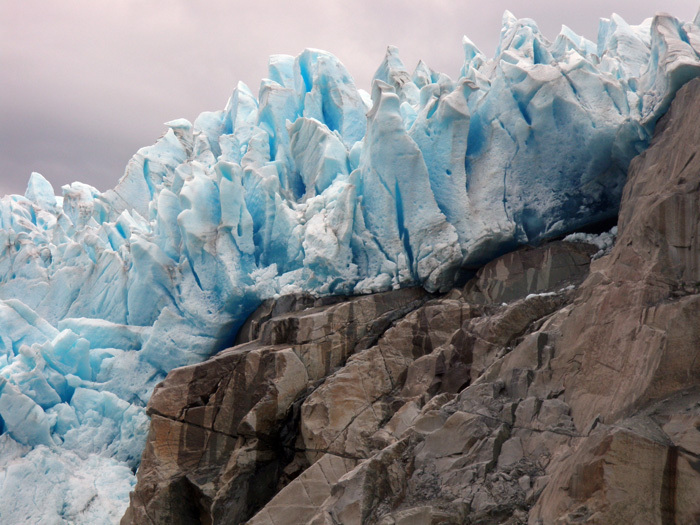 Patagonian Ice Fields are among the last explored places on Earth. 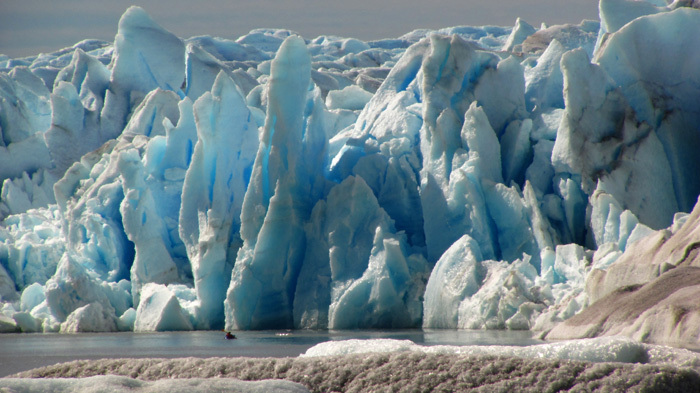 Divided into two, the Northern and Southern Patagonian Ice Fields constitute world's third-largest continental mass of ice, after Antarctica and Greenland. Over fifty glaciers spill off between granite peaks of Patagonian Andes from the Ice Fields directly into lakes or the sea. 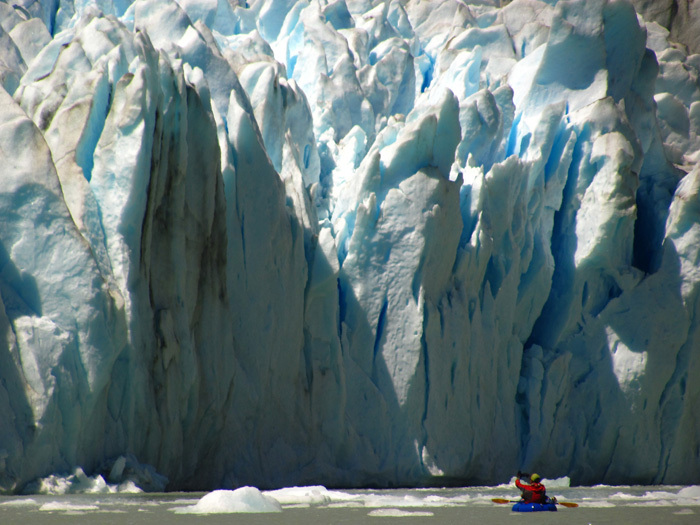 Ventisquero San Quintin is the largest glacier of Northern Ice Field. It is so big that it size can only be fully appreciated from the air. 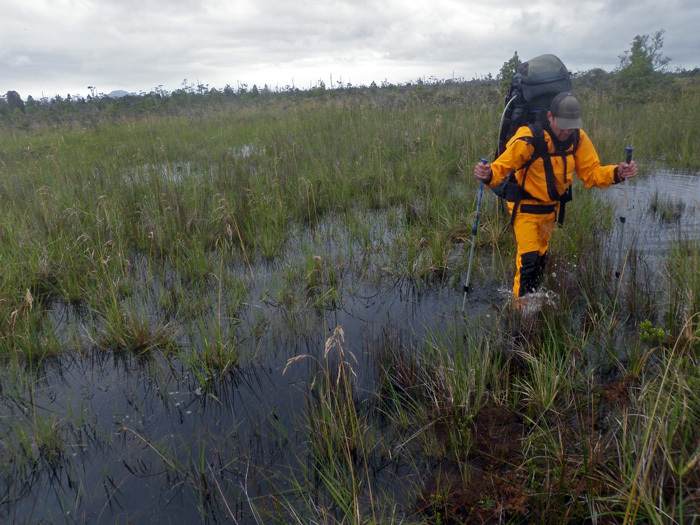 Plunging into inaccessible marshes of Ofqui Isthmus this glacier eluded earlier attempts of exploration. 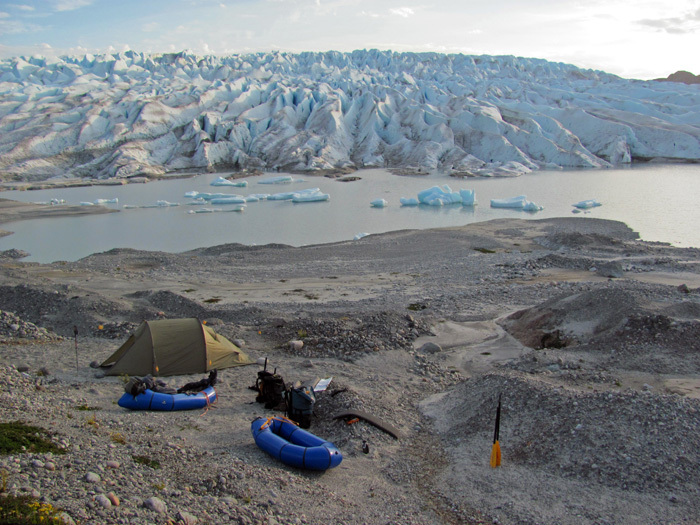 During "Expedition Explorers VII" we will continue exploration we started in 2009, 2011, and 2013 of arms of the glacier, its lakes and run-off rivers. 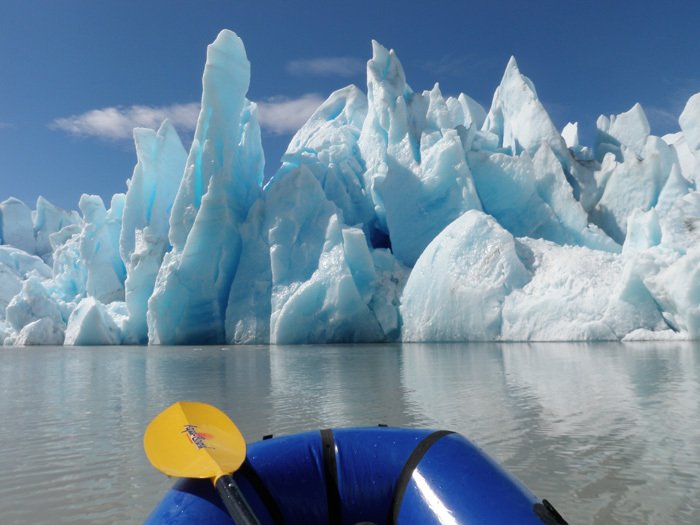 We will paddle between icebergs, do first rafting descents of rivers, sleep in the shadows of enormous Patagonian mountains and trek in spectacular wilderness. We plan about one month of trekking and paddling in our packrafts through various terrains. Please contact us if you want to join this special much anticipated exploratory expedition. 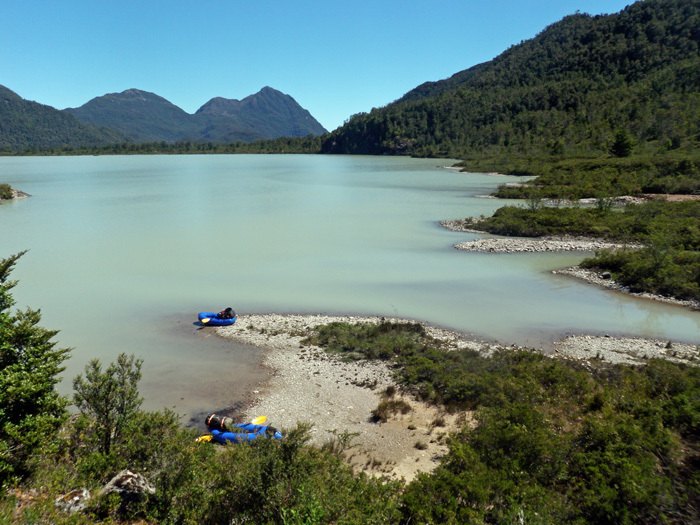 Read an account of our earlier exploration of Western Patagonia. 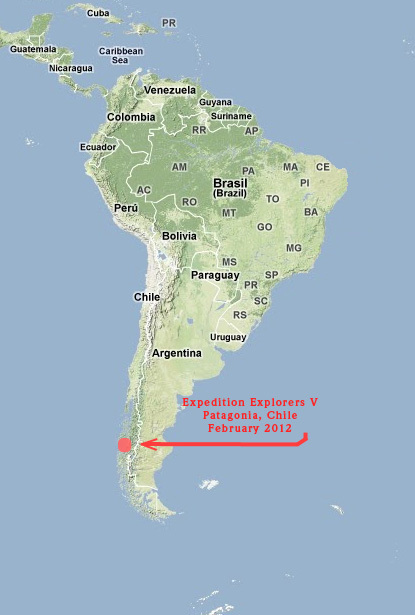 Photos of Expedition Explorers V 2013 - Western Patagonia passage. 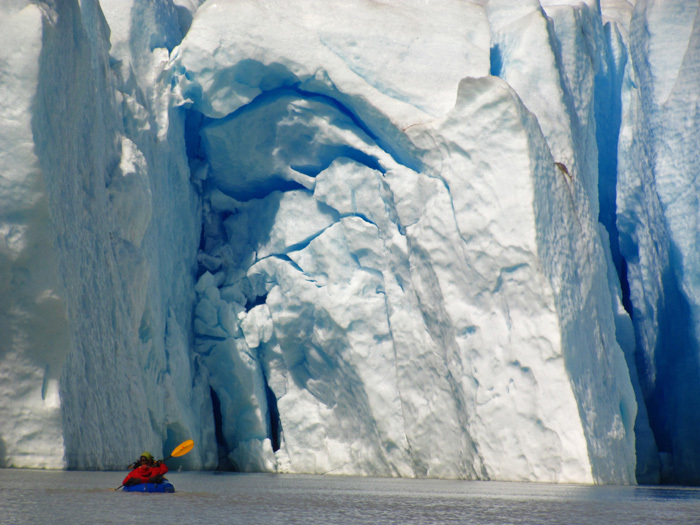 The largest glacier of The Northern Patagonian Ice Field. 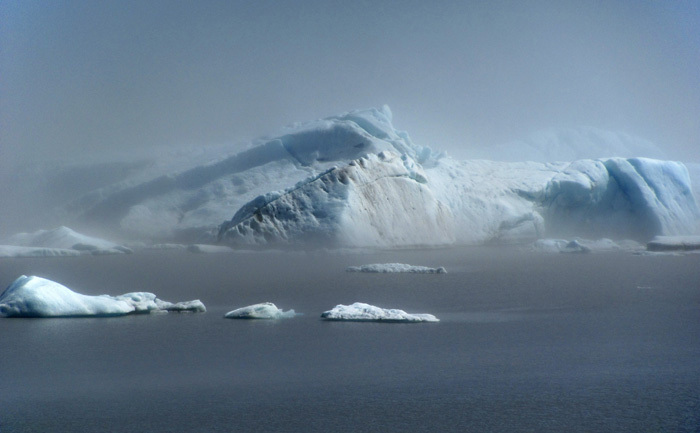 It calves icebergs so large that they could be islands. 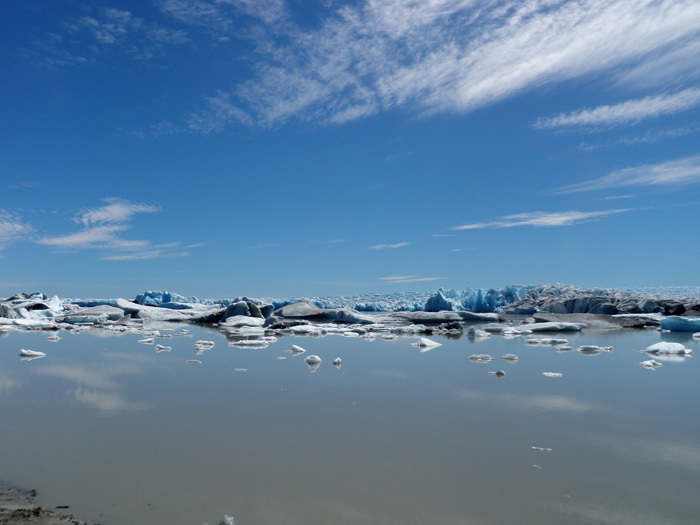 Its main arm is so big that it will take us a whole day to paddle between gigantic icebergs around its perimeter. 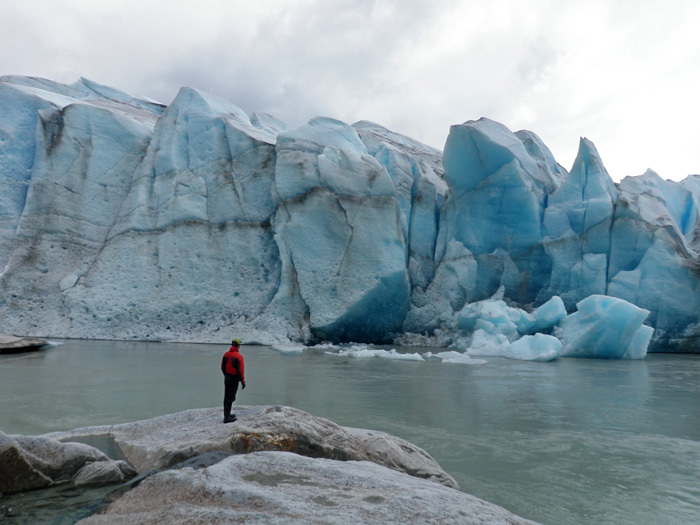 Exploring this glacier will be one of the highlights of our expedition. 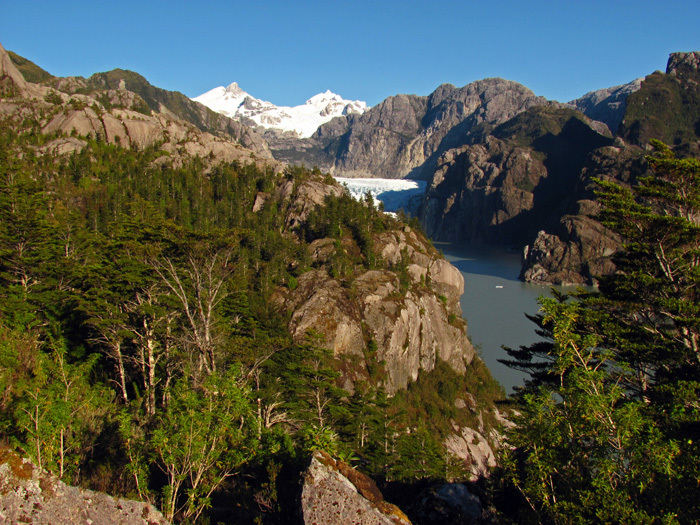 One of the uncharted fjords of Patagonia. Its name says it all. It has plenty of long, narrow and winding arms reaching deep into high mountains. We will spend days paddling and exploring in our packrafts unmapped passages of the labyrinth of arms of this remote fjord. Those are three the most remote glaciers of the Northern Patagonian Ice Field. They are so remote that there was nobody there to name them. There is no known account of previous visits to those virgin glaciers. In 2009 our expedition was able to explore two of them HPN1 and HPN2. 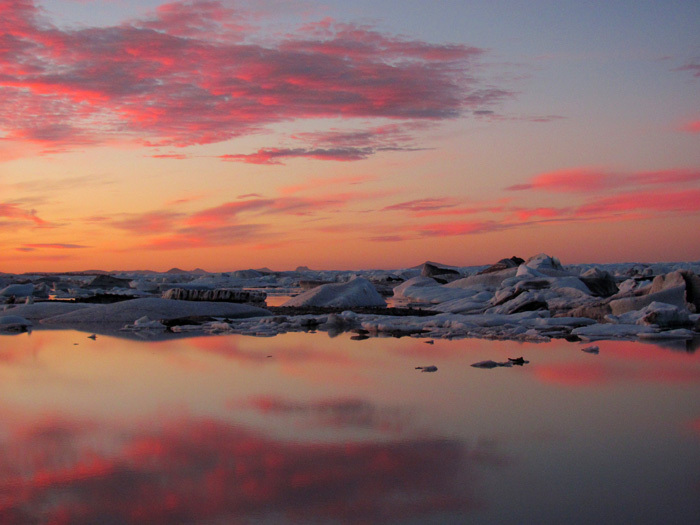 This expedition will attempt to reach even farther and visit glacier HPN3. If we succeed we will be the very first explorers to reach this extremely remote area. A land mass dividing Patagonian fjords. The secret passage trough this isthmus known only to sea faring Alacaluf Indians allowed them navigate the whole length of the Patagonian coast. The isthmus is completely covered by patchwork of rivers, marshes and a huge piedmont lobe of the biggest glacier of Northern Patagonian Ice Field - San Quintin. We will follow the footsteps of Alacalufs to cross the Ofqui Isthmus in our packrafts. A 20 miles (35km) long pristine beach facing open Pacific and its waves and winds blowing straight from Antarctic. 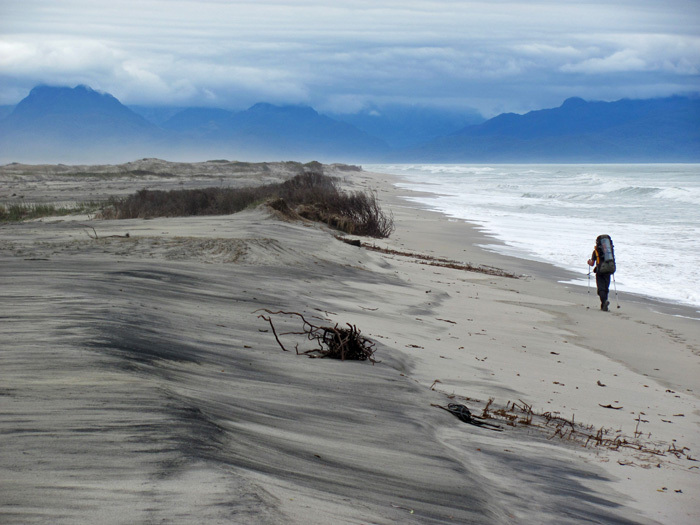 Walking a couple of days on this beach we will always have snowy peaks of Patagonian Andes in front of us. Excellent paddling river. 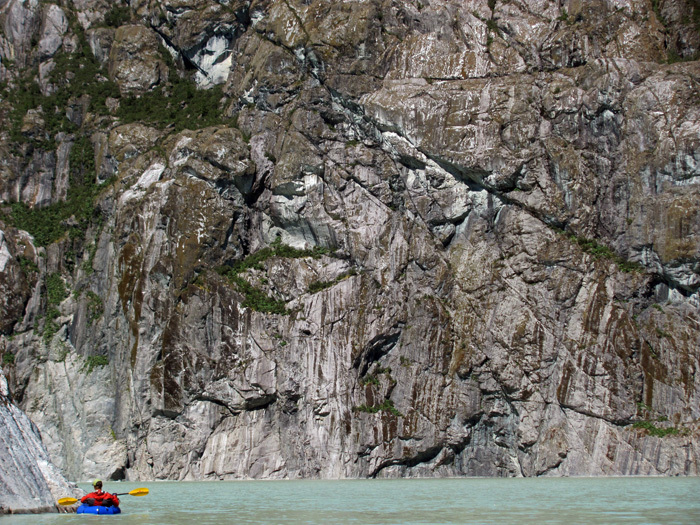 It collects melt waters of various tongs and lakes of Andre glacier. 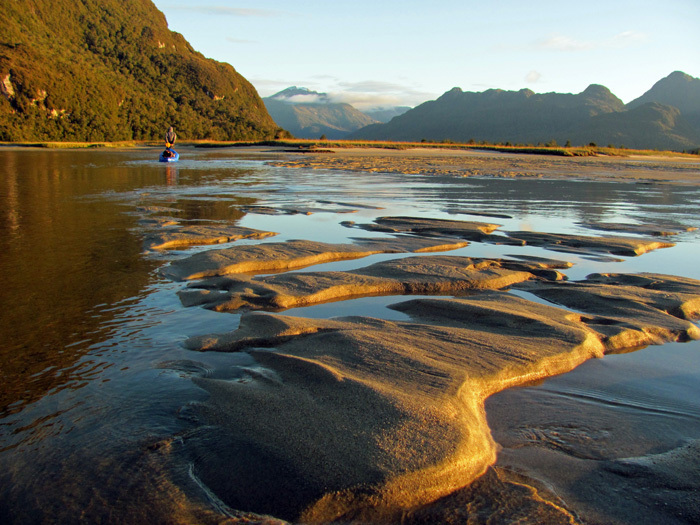 It flows via beautiful glacier valley covered with meadows, forest, big steep rock walls and ends its flow at Pacific white sand beaches of Kelly Inlet. 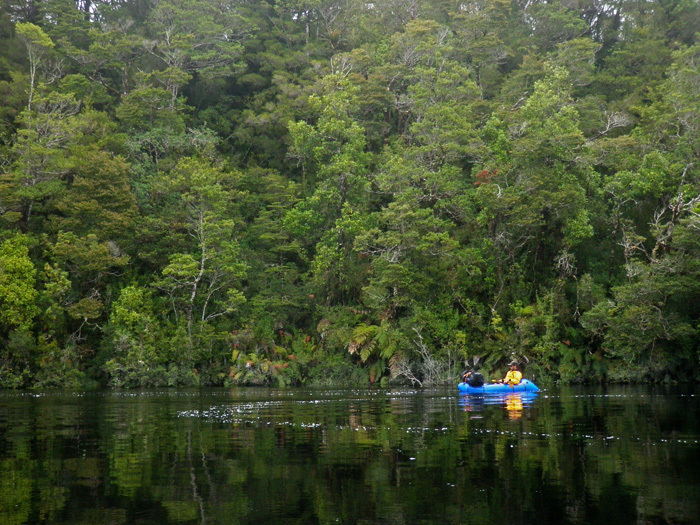 This river is a true paddler's delight. While you will not be the first who rafted the whole extent of this river because we did it during 2011 expedition you definitely will join the very exclusive club. This is the glacier which was explored by the 1973 British-Chilean Navy expedition which collected scientific data there. Since then only a handful of people were able to visit it. 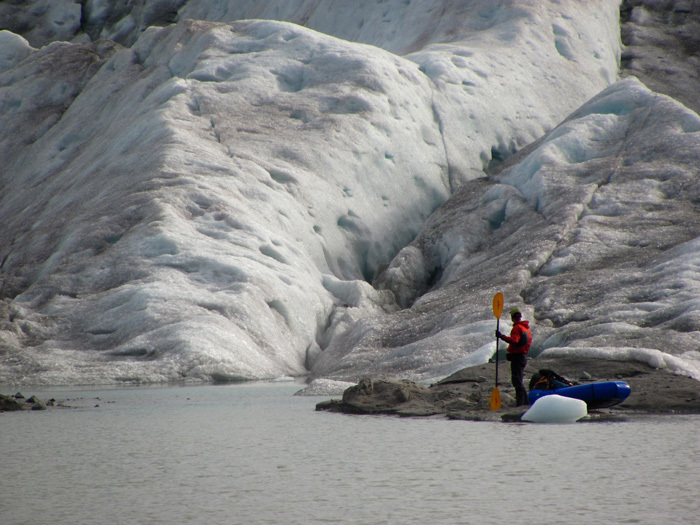 Most of them were scientist who use the glacier as a litmus test to measure a state of the whole ice field. Spectacular glacier valleys with vertical walls crossed by waterfalls, covered with jungle and topped with big wall peeks which have never seen a human climber. River collecting melt water of the three unnamed glaciers HPN1, HPN2, and HPN3. 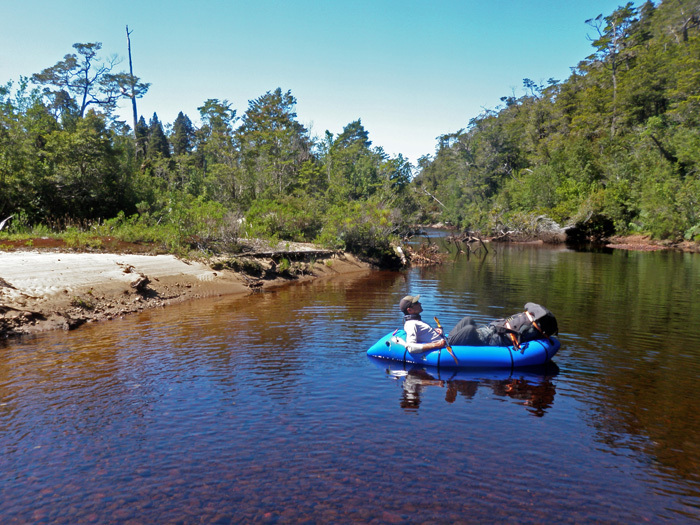 In 2009 we rafted with great pleasure the lower half of this river. This year we will attempt the very first complete descent of this river. 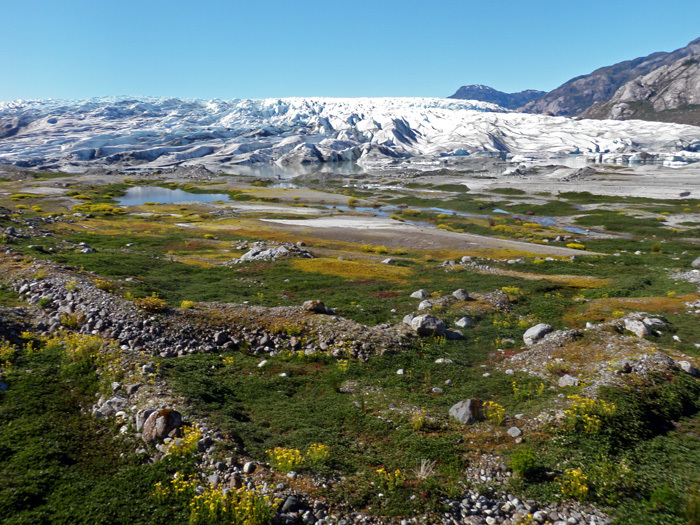 From its source at the foot of HPN3 glacier to its end at the Pacific Benito fjord. This is as far cruise ships go. This is the final destination for excitement hungry tourists. For us it will be just a start/end point of our adventure. 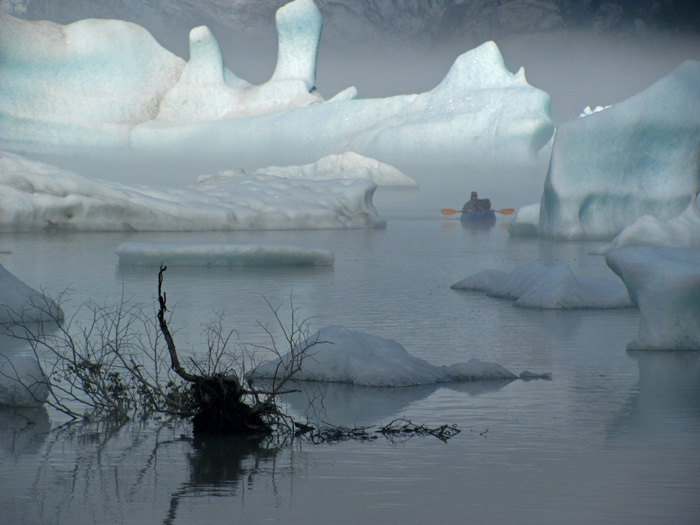 We will camp and paddle around this tidal lake and watch and hear San Rafael glacier calving and spawning hundreds of icebergs. A coastal village located deep on the shore of fjords between Northern and Southern Patagonian Ice Fields. For most of its history the only way to get to Caleta Tortel was by boat. The road was constructed only a couple of years ago. All houses in the village are build on stilts along a steep face of the fjord. The village has no streets, only wooden walkways build from fragrant cypress wood. 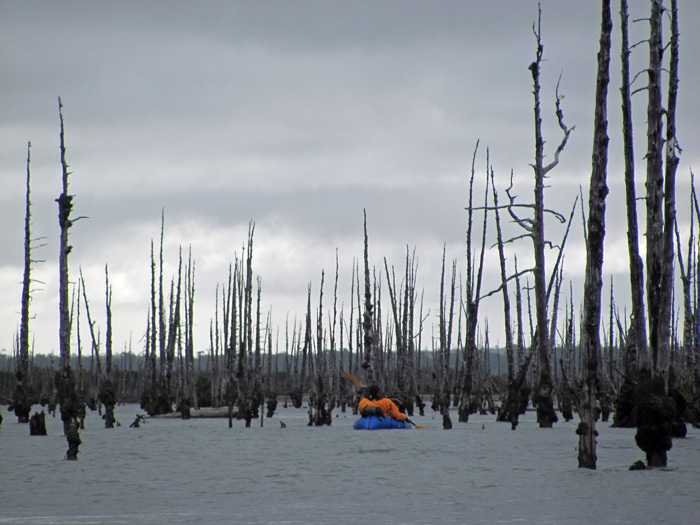 The purpose of the expedition is to enjoy beauty of untouched nature. All the other goals are secondary. Therefore we will not rush nor push daily activity limits. Mornings we will spend preparing and eating hot breakfast in a relaxed manner enjoying Patagonian panoramas. Then if this is a day when we move our camp we pack and prepare for hiking or packrafting. Early afternoon we will make a field break for a quick lunch. On some days we will change modes from hiking to packrafting various times during a day. In the evening when we reach our camping spot we will set our camp, get into relaxed cloths and prepare hot dinner which will often include a bone fire. At that point we will discuss plans for the next day. On some days in a morning we will not brake a camp and we will explore immediate area of the camp without our backpacks. Also on some days with heavy rain and strong wind we may decide to stay in our tents for a whole day waiting out the storm. As a participant you will be taking part in daily activities of food preparation and camp setting/breaking. 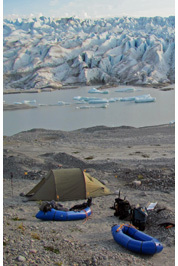 You do not need to have previous packrafting or paddling experience to participate in Expedition Explorers V. Nevertheless you should have previous wilderness camping and trekking practice. You should be fit and able to carry a backpack of 70lb (32kg) in difficult terrain for a whole day. (Our backpacks will get lighter and lighter every day as we will eat our food). You should be able to sustain active physical effort for eight hours a day. 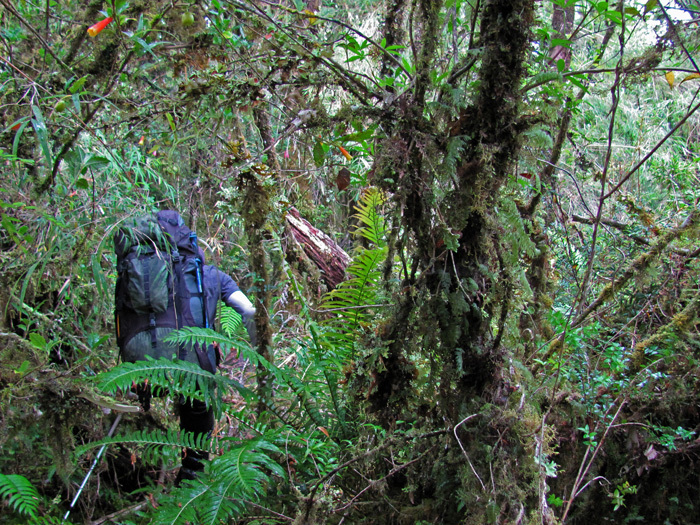 If you felt comfortable on your previous wilderness trekking trip you will feel at home on the expedition. We use light but taught equipment. 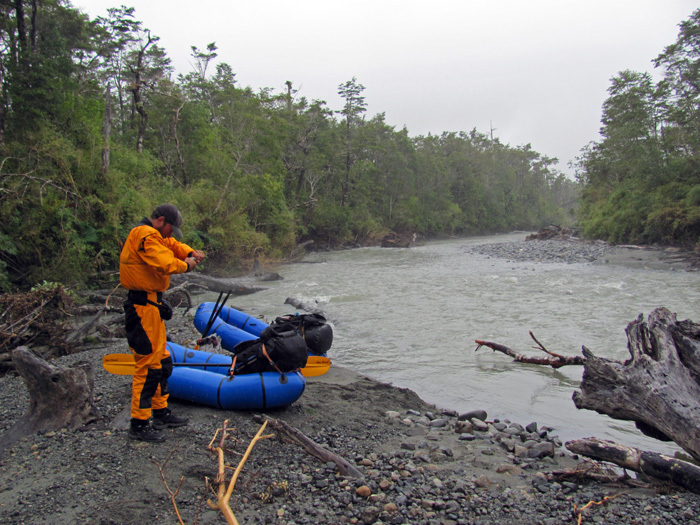 The most important pieces of equipment are our packrafts, tents and backpacks. We also use various dry bags. We provide most of the equipment for participants except the personal items like cloths and sleeping bags. Since we do not plan any technical climbing nor ice travel we can minimize weight of our backpacks. In summer months it is very rare that temperature drops below frizzing regardless of the fact that we are in front of glaciers. Usually during a sunny day temperatures oscillate between 75 and 65 degrees Fahrenheit (25-20 Celsius). Mornings are chilly but not freezing. As this is an almost a month long unsupported expedition the food is the single most important factor. We will carry a month supply of food with us. Depending on a chosen route we may make a food cache along a way to lighten our backpacks. Our food supply is a top quality expedition ready food imported directly from USA for the single purpose of this expedition. Our expedition diet is design to provide enough energy for daily activities, be tasty and easy to prepare, and to weight little. Breakfasts will consist of expedition enriched oatmeal with dry fruits and nuts plus hot tea or coffee. During a day and for lunch we will eat high energy sport bars filled with proteins and carbohydrates. Lunch will consist of a high quality meal replacement prepared especially for high activity athletes. Evening meal will be a very large and tasty hot portion of a dry frizzed meal and a hot drink. Occasionally we will supplement our diet with freshly cough trout, salmon or robalo (south Pacific exquisite white meat fish) - Patagonia is angler's paradise. All together each participant will consume much more calories than daily suggested amount for an average person living in a city but on the expedition be prepared to loose a bit of your body weight. Jarek Wieczorek is Expedition Director of Antofaya Expeditions. He poses unsuppressed knowledge of the fjords and glaciers on the Western side of The Northern Patagonian Ice Field where he organized various exploratory expeditions to never before visited locations and opened new routes. His experience in navigation and cartography allows detailed preparation of expedition routes and day by day planing. 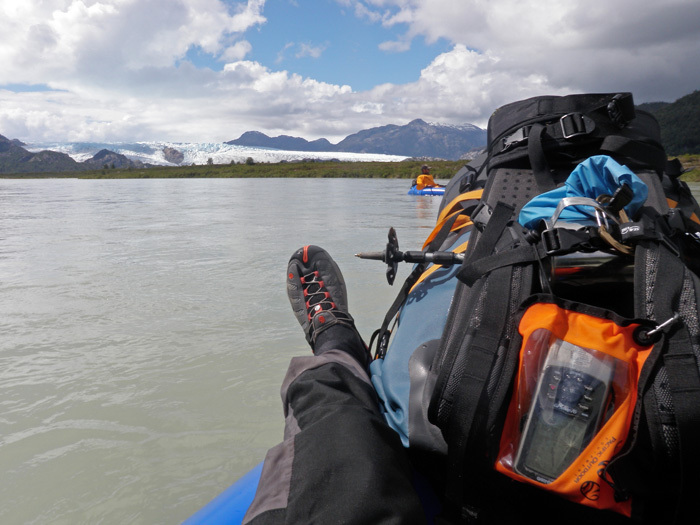 He introduced packrafts to Patagonia years ago which opened new horizons of wilderness exploration. Depending on weather and available logistics the dates can shift one or two days each way. You should be ready for a pickup in Coihaique, Chile no later than 14 February. First two days we will spend on equipment check, packing and driving south along famous Patagonian Caretera Austral - the Southern Road. 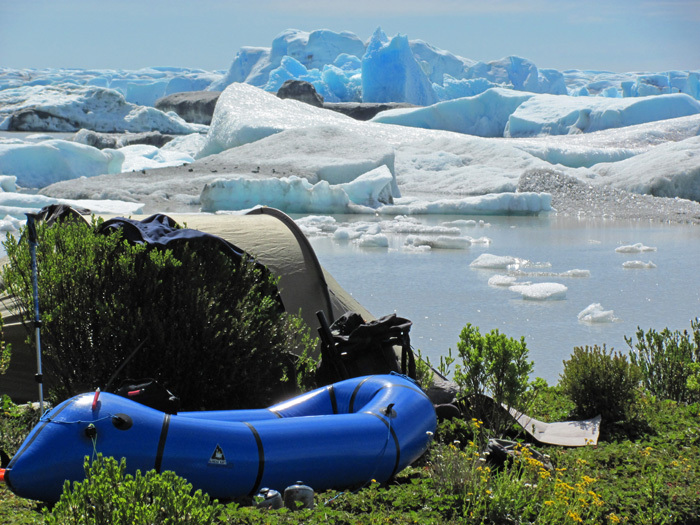 For participants who are equipped with their own packraft and dry-suit there is a significant discount. It is necessary to secure your spot at this expedition well in advance. Due to necessity of shipping of quality food supplies and equipment from other continents and complicated logistics at those remote locations an advance of $1000 should be paid no later than October 15th, 2014. The whole amount is due before start of the expedition. The total price depends on number of participants, equipment, and final duration. All the above photos were taken during Expedition Explorers IV, Patagonia, Chile, February 2011.